Perhaps the church fathers who gave us our Gospel readings in the Liturgy thought the context was irrelevant and just wanted us to hear a parable to scare us into giving money to the church! Okay, I’m being a little facetious. But how does the parable end? With the words “rich toward God.” Now don’t get me wrong. I hope you do support our church. Stewardship pledge cards are going out to your homes and I pray that you will respond prayerfully and appropriately. But I don’t have to scare you into supporting our church. You are doing it with very little push. I congratulate you and I thank you for your support. As I said, the church fathers may have removed the context in order to make this parable about you being rich toward God = rich toward the church. But I don’t think that was the case, really. So often we hear in Liturgy parables without the immediate context, probably just to make a parable a form of absolute teaching unrelated to what was going on around Jesus. That can be very helpful for us who are not there with Jesus, but it’s also dangerous because we can misinterpret what was Jesus’ intention. And I don’t know about you, but I really care about what were the immediate circumstances for everything Jesus spoke. Jesus never spoke from an ivory tower; he spoke in the midst of life among real people with real problems. Then he tells them the parable we heard in our Gospel reading this morning. The parable illustrates the teaching that life does not consists in the abundance of our possessions. Life is so much more than possessions. But here is a problem with the parable and with our translation: “This night your soul is required of you; and the things you have prepared, whose will they be?” This clearly sounds like a threat. Tonight you will die and what will happen to all your possessions, who will possess them? Clearly he is addressing the man with the inheritance problem. The problem is in the translation: “This night your soul is required of you.” The Greek text says: ταύτῃ τῇ νυκτὶ τὴν ψυχήν σου ἀπαιτοῦσιν ἀπὸ σοῦ. “This very night they are demanding your soul from you.” Who or what are “they” who are demanding his soul? Is it God? Then we wouldn’t have had a plural form of the verb ἀπαιτέω. Is death the threat? Certainly that is the most direct interpretation. Or is it something else; an interpretation that goes deeper, perhaps? Could it be the possessions who are demanding his soul? The minute you find satisfaction and fulfillment in things, they possess you. If you allow possessions to define your life, you’re not living. God does not ask for our wealth. God asks for our hearts. However, our money and possessions easily destroy love and affection. That is true in human relationships. How many families, business partnerships, marriages and friendships are destroyed by money? God does not need our money; but our money and how we use our money do define who we are and where our affections lie. In the final analysis if the church asks for your support it’s to help you define your priorities. You’ll laugh at me and say perhaps, “Sure, sure, so you say. But the church needs money to pay the bills, to maintain the buildings, and to pay for your salary!” Yes, you do pay me a salary. Yes, the buildings needs maintenance and the bills need to be paid. But it’s only because we’re not perfect, and because we need to gather here and you need to have a priest to lead you in worship and to teach the gospel. If we were all perfect, there would be no need for the church – ANY church! But we’re not perfect. 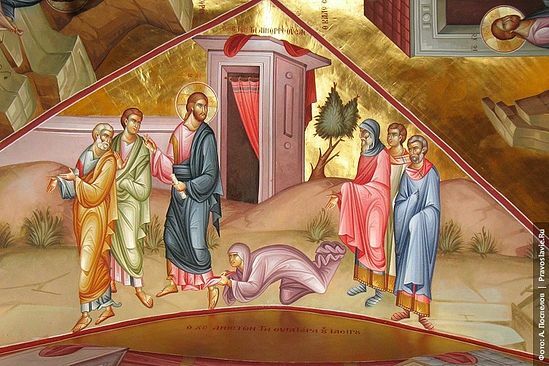 As I was working on this sermon, I had it in mind that I would somehow tie the Gospel parable to tomorrow’s wonderful feast of the Entrance of Mary in the Temple. My sermon ended in a different place than I had envisaged. But Mary is still our teacher, even in the matter of stewardship and being rich toward God. Mary was poor, yet no one was more rich toward God than she was. As a little girl she was taken to the Temple – something very unusual in Jewish society of that time. But spiritually that was where she belonged. That’s where her heart was filled with God’s presence and she was prepared to receive in her body the full presence of God in the birth of her son, our Lord Jesus Christ. So we also enter into this place, into this house of worship, to receive Christ in our being. You support this church because you need it in your lives. Here it is more God who is rich to us, rather than we are rich toward God. By sharing our wealth with the needs of the church, we experience the joy of God’s richness to us. Being rich toward God is not such an impossible thing after all. Categories: Sermons | Tags: need for church, Parable of the rich fool | Permalink. One can say, I don’t understand all this high theology, I don’t understand what Liturgy is all about, I don’t understand how bread and wine can be the body and blood of Christ. One can say any of these things and be sincere. But what don’t you understand about “Go and do likewise”? It’s a simple command, and it needs no theology. And it needs no consecration of bread and wine into the body and blood of Christ. It’s actually a simple command that turns us into the body of Christ, and sometimes even into his blood! If you are not a neighbor to the homeless, to the persecuted, to the refugee, then you are not following this basic command of Jesus, “Go and do likewise.” Saint John Chrysostom, whose feast day we celebrate today, understood the message, and that is why he was persecuted by the empire and the rich and powerful 1600 years ago. 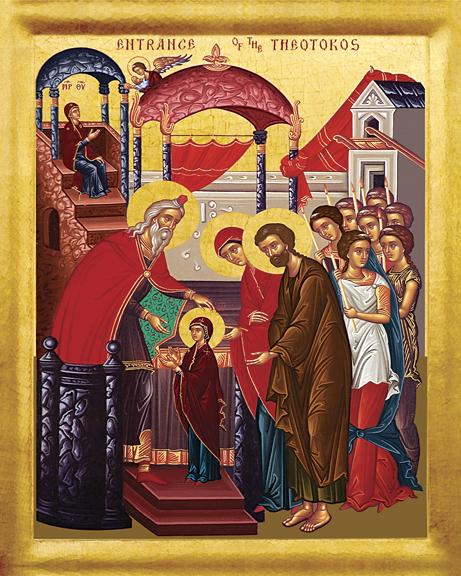 The church honored him after his death with the title Chrysostomos – the “golden-mouthed”. The Liturgy we celebrate today and most days of the year is named after him. Bring no more vain offerings; incense is an abomination to me. Your new moons and your appointed feasts my soul hates; they have become a burden to me, I am weary of bearing them. When you spread forth your hands, I will hide my eyes from you; even though you make many prayers, I will not listen; your hands are full of blood. Wash yourselves; make yourselves clean; remove the evil of your doings from before my eyes; cease to do evil, learn to do good; seek justice, correct oppression; defend the fatherless, plead for the widow. Is there any difference between today’s Parable of the Good Samaritan and this passage written by Isaiah 700 years before Christ? God has a passion for us human beings. He desires that we have com-passion for each other, for the poor, the homeless, the refugee. But you will protest that we live in very different times than Chrysostom. Indeed, it is hard to tell who is really poor and who isn’t – though we all know that there is real poverty in our society. Many people are afraid of refugees – maybe some of them are terrorists. Highly unlikely, but a real, justified fear nevertheless. So what do we do? Well, you can get involved in an organized effort to help the poor, to promote social justice, to alleviate poverty in our city, state or country. For starters, you can work in a food pantry or a soup kitchen. Perhaps you might want to start something like that in our own church, in our own parish house. Perhaps you might want to help a halfway house or one of the shelters in our city for abused women. You might want to volunteer at one of our hospitals or nursing homes. Perhaps you might want to form a small group that will visit nursing homes or the Veterans Home in Scarborough. There are lonely people all around us. They might not all be poor, but they lack human companionship. Perhaps you can organize to drive people to church some Sundays, if not every Sunday. The possibilities are endless. In this icon illustrating the Parable of the Good Samaritan, Jesus himself is the Samaritan, showing us also the path to sharing his life, by being compassionate. We can all be good Samaritans. And all of us are in one way or another like the man who was beaten and left for dead. We need each other. This is where the gospel of Jesus Christ begins. 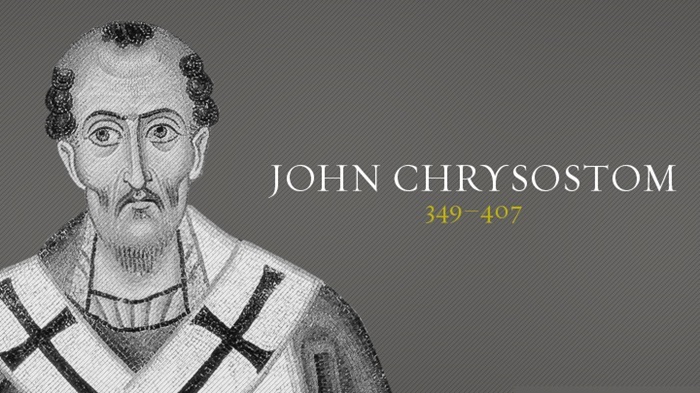 This is always where John Chrysostom began. So we honor him as the great teacher of mercy and compassion. Categories: Sermons | Tags: compassion, John Chrysostom, Parable of the Good Samaritan, the poor | Permalink.